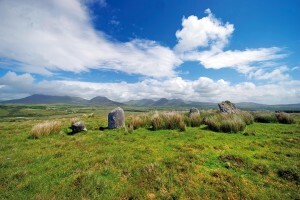 Connemara is perfectly suited to combine a trip that will let you cycle and hike on the same or successive days. You don’t have to decide which of the activity you prefer – you can have it all on this self-guided tour that combines walking and cycling. 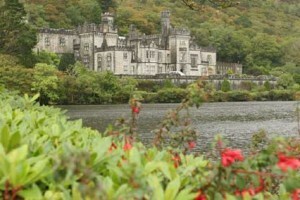 This trip is especially designed to visit the most beautiful spots in Connemara, leaving you to explore one of the lesser explored regions of Ireland. 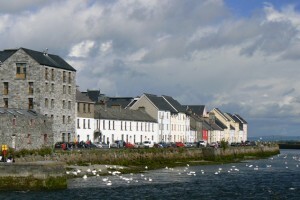 Arrive in Clifden, a charming, bustling market town (we can help arranging transport). 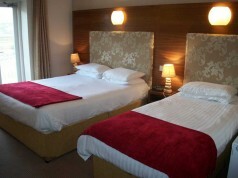 Stay the next two nights in central guesthouse, dinner at your own choosing in one of the many restaurants. Plan on your personal introduction either this evening or in the morning of day 2. This is a day where you have various alternatives. Cycle out along the Sky Road to enjoy some sublime coastal scenery. 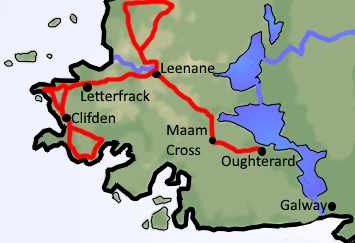 Or head for a longer ride south of Clifden all along the coast to Ballyconneely and Roundstone, before returning to Clifden over a beautiful bog-road. 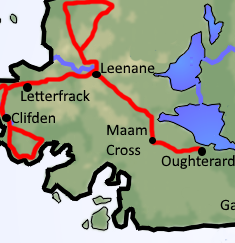 Today’s cycle will bring us to Letterfrack, the home for the Connemara National Park. 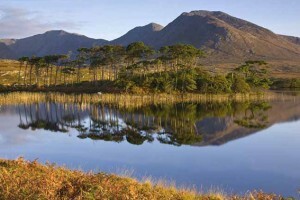 There are a number of walks in the Connemara National Park with the quartzite mountain of Diamond Hill being the most distinctive. Along the way keep a look out for peregrine falcons, wild mountain goats and native red deer. 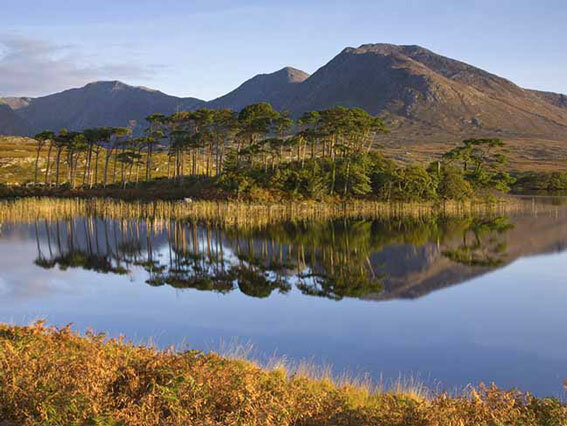 Your climb to the glittering quartzite summit is rewarded with commanding views of the spectacular wilderness of Connemara. Your walk today will take you along old trails into the beautiful Inagh Valley, surrounded by the majestic Maam Turks and Twelve Bens mountain range. You are heading for the pilgrim’s site of Mám Éan, sometimes referred to as St Patrick’s Well or Patrick’s Bed, located at a height of 320m. Mám Éan means Pass of the Birds. It is now the site of a small chapel, a hollow in the rock known as Patrick’s Bed, a life-size statue of the saint, and a series of stone crosses, marking the 14 Stations of the Cross. 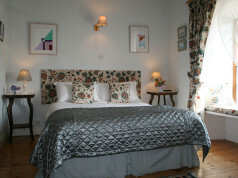 The valley is It is a perfect haven for complete rest and relaxation after a day on the hills. Finish the day with a pint and sea-food chowder in the wonderful bar of Lough Inagh Lodge Hotel. There are various options today, you can extend the cycling to visit the tip of the Renvyle Peninsula, or you can choose to keep the cycling short and hike along Killary Harbour on what is called the “Famine Trail” as it was build during the Great Famine as a relief scheme. Stay the next two nights in Leenane, a small village beautifully situated on Killary Harbour, Ireland’s only fjord. You have several options – take the Killary Cruise sailing along Killary Harbour. Or hike on the Western Way all along the hillside high above Killary Harbour. Or alternatively if you prefer to cycle continue to ride north past the Aasleagh Waterfalls and into the Delphi Valley and continue into the Sheefry Hills to Drummin. 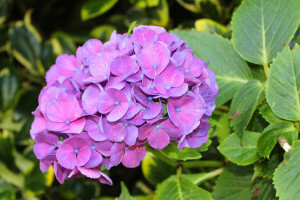 A last day to cycle and the route will bring you inland into the beautiful Maam valley, also known as Joyce’s Country. 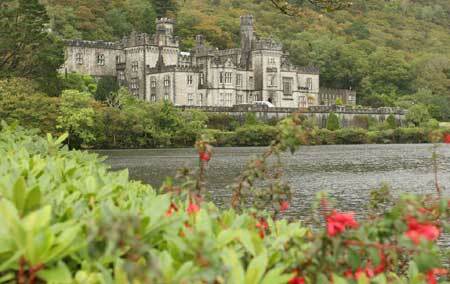 There is a longer option which will be bringing you along beautiful lakes of Lough Nafooey and Lough Corrib. 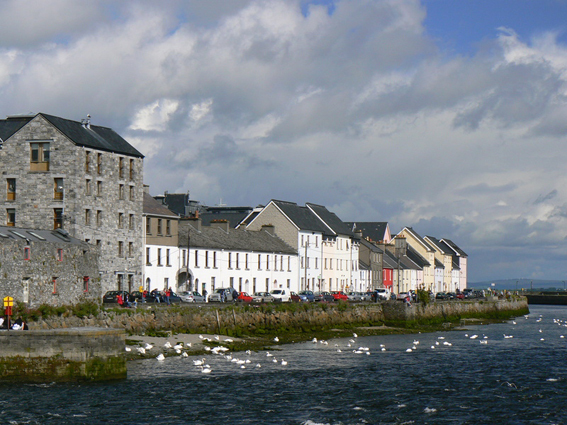 Stay the night in the small town of Oughterard famed for its fishing on Lough (lake) Corrib, alternatively if preferred, leave the bikes in Oughterard and take bus to Galway for the city of Galway. This self-guided walking and bicycle tour is designed to stay in comfortable, friendly, wonderful guesthouses and small hotels such as underneath. Accommodations could be upgraded if you prefer.